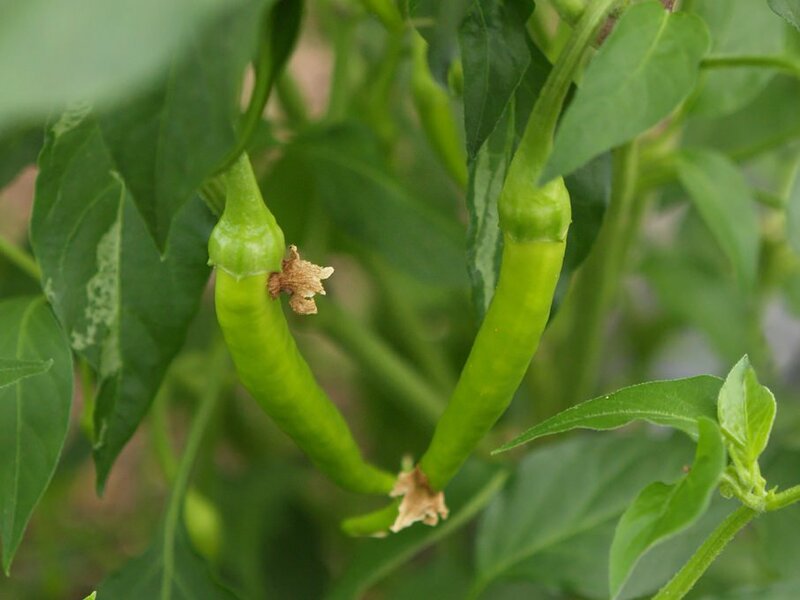 Agina Eusko is a boutique pepper company in the Basque Country run by a father and son team. 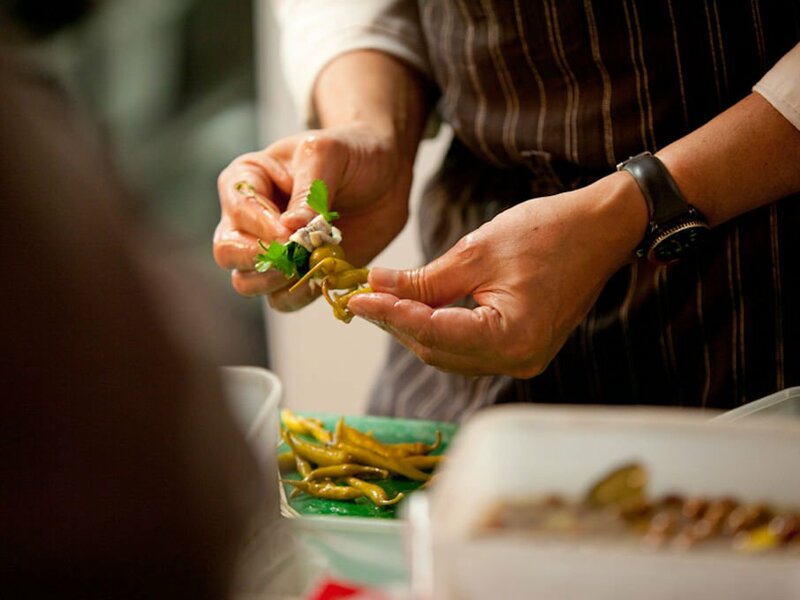 The duo specialise in growing and pickling a variety of green pepper that is ubiquitous in the Basque restaurant scene: the small, sweet Guindilla. 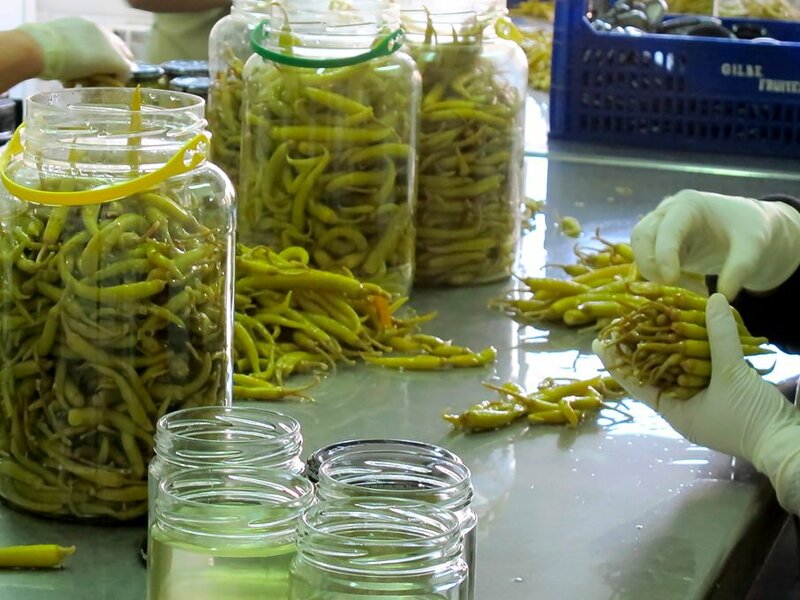 The peppers are nurtured in company’s own greenhouses and fields, and picked, pickled and packed by hand at the peak of the harvest season. Basque refers more to a political, cultural and linguistic population than a distinct landscape, but when we talk about the Basque Country, we’re primarily thinking of the fertile land that runs from the Sierra Cantabria to the Bay of Biscay on the northern coast of Spain, right up to the French border. This is a characteristically Atlantic area, home to some of the best seafood and seafood restaurants in Spain. There are also amazing, if less obvious, things to be found in the mountains, where traditional Asador restaurants have been perfecting the combination of dry aged meat and charcoal for centuries. It’s impossible to say which part of Spain has the best local cuisine or local ingredients, but if a single restaurant stands out for a perfect blend of the two, for us it would be Asador Etxebarri.